Our certified irrigation technicians can repair sprinkler systems so your lawn doesn’t go thirsty. Sprinkler System Need a Tune-Up? We’re concerned about saving water. By keeping your sprinkler system tuned up and working properly, you can conserve water, reduce your water bill, and keep your lawn looking green and healthy. 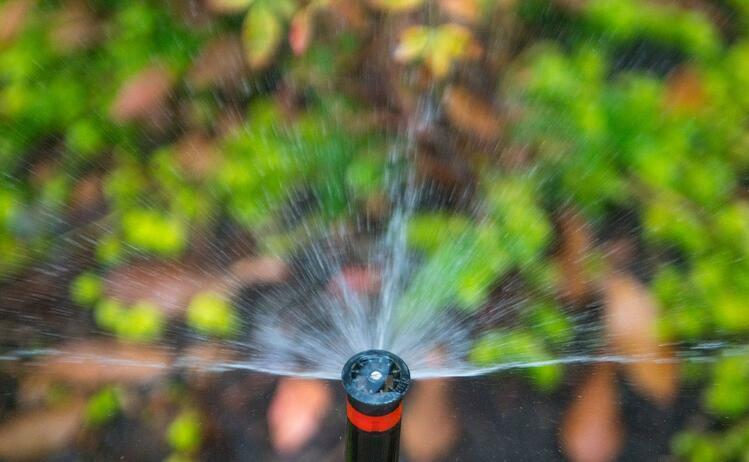 A typical sprinkler head can waste up to 7,800 gallons of water during a typical month of watering. And, these breaks and leaks are often difficult to detect. Usually, irrigation systems run early in the morning—so it’s easy to overlook problems. That’s why it’s important to have a regular sprinkler system check by a professional. How efficient is your irrigation system? If you notice puddling on your driveway or sidewalks—the answer is, your sprinkler is wasting a lot of water. What will you do about it? It’s tricky to make adjustments yourself, and you could wind up creating more of a problem. 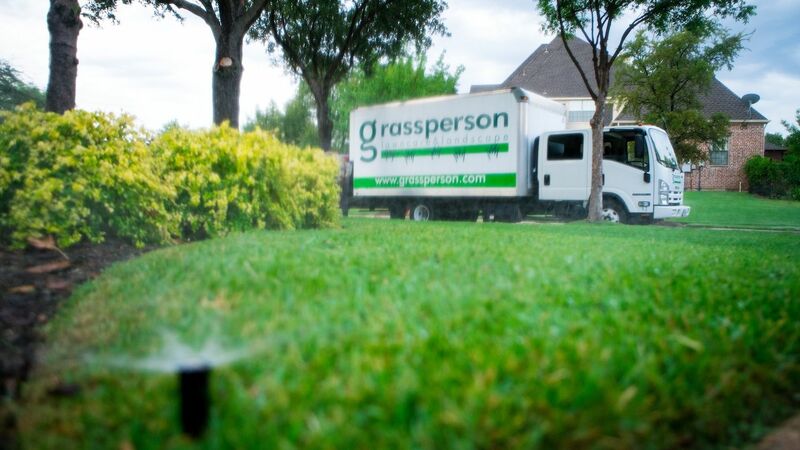 Grassperson Sprinkler System Audits include a complete system check. We test every sprinkler head and make sure the controller is working properly. We also run tests to be sure your sprinkler system is not wasting water. The ultimate result: You save money. Irrigation work is a specialty, so you shouldn’t allow just anyone to make adjustments to your sprinkler system. We are licensed by the Texas Commission on Environmental Quality. Our certified irrigation technicians are trained and completely focused on irrigation system tune-ups, audits and repairs. Don’t settle for anything less. What are you waiting for? Call us for a free quote. We’ll visit your property and provide an on-site analysis. Lawn care is the foundation—a 7-step weed, fertilization and lawn health care plan that treats and prevents. Responsive, weekly landscape maintenance involves mowing and edging the grass, along with trimming back shrubs when necessary. Enhance your landscape with mulch, annual flowers and new plants. Deck out your property for the holidays, without the stress or frustration of hanging Christmas lights yourself. We’ll quickly provide you with a free, custom estimate based on your property size and needs.